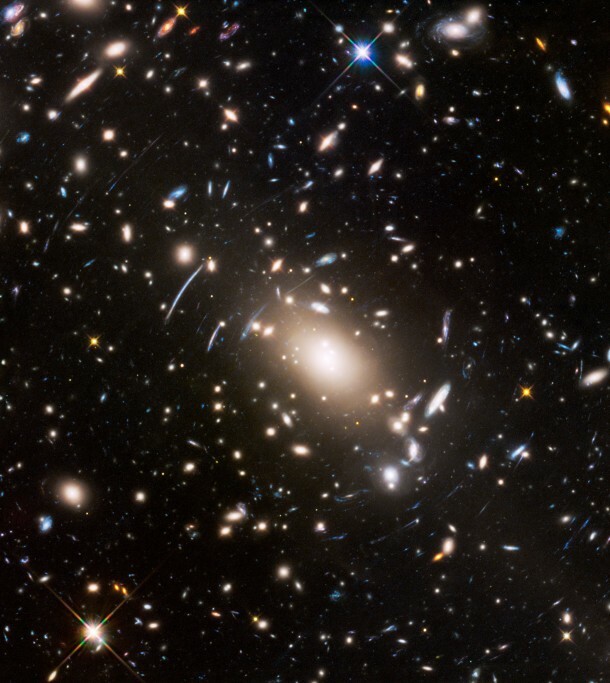 The Frontier Fields program is an ambitious three-year effort, begun in 2013, that teams Hubble with NASA’s other Great Observatories – the Spitzer Space Telescope and the Chandra X-ray Observatory – to probe the early universe by studying large galaxy clusters. Identifying the magnified images of background galaxies within these clusters will help astronomers to improve their models of the distribution of both ordinary and dark matter in the galaxy cluster. This is key to understanding the mysterious nature of dark matter that comprises most of the mass of the universe.